Brief Synopsis – As the Autobots and Decepticons fight for their Planet, a young Autobot scout is sent to Earth to make a new home for them. My Take on it – This is a film that I knew I would eventually watch yet didn’t have a strong desire to chase after it since I knew even before seeing the film and/or the trailer what this was all gonna be about and what to expect action wise. This is a fun addition to the overall Transformers series but it feels like a speck of dust on the overall storyline because everything that happens here is quite insignificant to the global plotline. 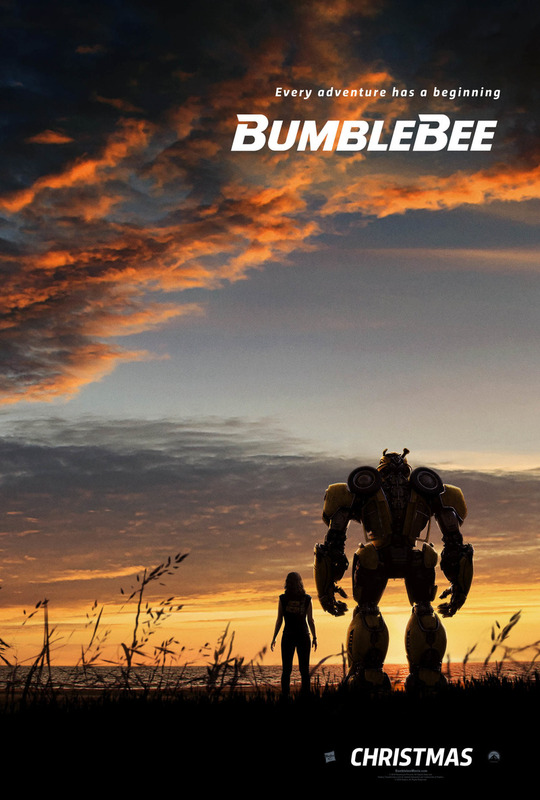 It’s also somewhat weak as an origin story since it doesn’t offer too much in terms of information about Bumblebee even though we do get to learn how he got his name and how he learned to talk via TV/Radio. As with all films in this series, they do an amazing job with the special effects and action scenes and never fail to make everything look quite realistic despite dealing with gigantic robots. They integrate the 80’s music into the story really well and the whole thing make one nostalgic for the 80’s since its very reminiscent of the Transformers animated TV show of the 80’s and make me once again yearn for the days of that decade. As fun as this movie is tho, it unfortunately feels completely pointless in the grand scheme of things and doesn’t bring anything new to the fold because it just rehashes the storyline of the previous films in the series. Bottom Line – Fun addition to the series even though is really adds little to the overall storyline since this is really just a small footnote. Nice to learn how Bumblebee got his name and his voice from but this doesn’t really feel like an origin storyline. Great special effects and action scenes help make this enjoyable to watch despite the fact that it’s somewhat of a pointless storyline. Love the 80’s music and atmosphere which is somewhat reminiscent of the Transformers animated TV show from the 80’s. I’m sorry this wasn’t a better experience for you Rob! I really enjoyed it but can completely agree that it doesn’t add anything to the overall universe.